Siemens has released a new study which details the pathways to transforming Adelaide into the world’s first carbon neutral city. 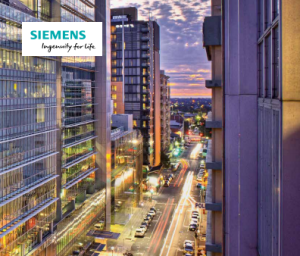 The report, which was conducted with Siemens’ proprietary City Performance Tool, outlines several key points that will support Adelaide’s transition to a zero net emissions economy. It states that coordinated action by the city and state can yield deep cuts in emissions. “Investments in the building, transport and energy sectors can help Adelaide reduce CO2 emissions by a further 56% by 2025 compared to a business as usual scenario,” reads the report. It also recommends more robust decarbonisation policy spanning energy, buildings and transport. “Although investments in renewable energy in the State have been unprecedented, building floor area growth and hence energy demand in the City of Adelaide have offset some of the emission reductions arising from decarbonisation of the city’s electricity supply,” it says in the study. The report identifies the commercial sector as the largest source of emissions in Adelaide and one the city and state governments can most directly influence and regulate. “With new programmes such as the introduction of Building Upgrade Finance being rolled out in 2017, the city can benefit from over 15% savings in buildings related emissions through just five building technologies modelled in this study,” reads the study. Siemens said the study modelled potential savings in the transport sector based on two scenarios, the first of which focuses on public transport and the second on low emission vehicles. “The first, a mobility future based on low emission vehicles with medium public transport investment delivering 47% savings in transport related emissions,” it says in the study. According to the report, the implementation of the above mentioned measures could lead to the creation of thousands of jobs in Adelaide. “By cutting emissions by as much as 56% over the next decade, the City of Adelaide can also contribute to the state’s transition to a low carbon economy,” the report states. The study was conducted using Siemens’ proprietary City Performance Tool, which provides city managers and planners a unique view of their city and helps identify areas of greatest need and effectiveness for better resource allocation. The tool analysed over 700 data inputs from transport, energy and building sectors and over 70 technologies currently in use in the city to accurately forecast the impact of urban infrastructure technologies. “Siemens has a long and proud history in South Australia. We helped transform South Australia with the telegraph line 144 years ago. We’ve continued a great technology partnership and now we’re proud to help Adelaide transition to the world’s first carbon neutral city,” said Mr Roland Busch, member of the Managing Board of Siemens AG.